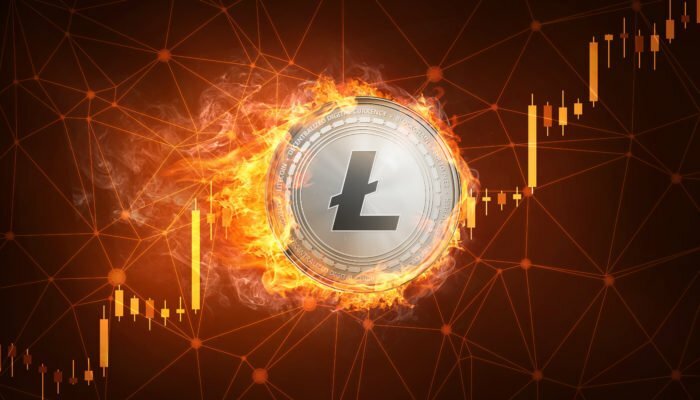 Following the recent downturn in the crypto markets, Litecoin (LTC) has skyrocketed nearly 30%, allowing it to claim the fourth spot by market capitalization ahead of EOS and Bitcoin Cash. Today’s market surge has been fueled by Bitcoin’s 8% jump that has sent its price to $3,700. Although Litecoin is showing a significant amount of bullish momentum, analysts note that it does face resistance at around $43, which may cause it to drop from its current prices. At the time of writing, Litecoin (LTC) is trading up 30.8% at its current price of $43.3. LTC is currently trading up significantly from its weekly lows of $32 and is down slightly from its daily highs of $43.90. Importantly, analysts claim that despite Litecoin’s major price surge, it does face resistance around $43, which may prove to be a difficult price level to break decisively through unless the cryptocurrency garners a greater amount of buying pressure. The Crypto Dog, a popular cryptocurrency analyst on Twitter, noted that he is selling his LTC at $43, and is waiting to see where it goes next before entering into any new long positions. “But volume is really quite lacking on this move and a 50% retracement of a falling wedge is already a lot to to [sic] ask for… For now, I’m not looking for longs until further price action. Selling my $LTC here at $43,” he explained. MUCH nicer. But volume is really quite lacking on this move and a 50% retracement of a falling wedge is already a lot to to ask for. DonAlt, another popular analyst on Twitter, also noted that LTC/BTC is nearing resistance at 0.015 BTC, which is slightly higher that LTC’s current price of 0.0117 BTC. “$LTC… Next significant resistance I’m watching is 0.015,” he said. Imagine not trusting a random Twitter duck with all your money. I couldn't be like that. As previously reported by NewsBTC, analysts have recently claimed that Litecoin would likely see some major price gains in the near future, with Moon Overlord, another popular cryptocurrency analyst on Twitter, telling his followers on February 3rd that he was targeting around $50 for LTC. One more resistance to break and then the sky will be clear. Although Litecoin is leading the markets, virtually all major cryptocurrencies have climbed today, erasing a significant amount of their recent losses. At the time of writing, Ethereum is trading up nearly 15% at its current price of $120. Ethereum has strongly respected the $100 mark as a level of support over the past couple of weeks. XRP is trading up nearly 8% at its current price of $0.315, up from its recent lows of $0.28. It is important to note that XRP has historically found support around $0.28, which will likely continue to act as support over the long-term. Alex Krüger, a popular cryptocurrency analyst on Twitter, discussed the crypto markets latest surge, noting that the past 20 days of losses have been wiped out in a mere few hours. 20 days of grinning bears wiped out in a few hours. Only in crypto. $BTC + 10%, $ETH + 19%, $LTC +35%. As the markets head into the weekend, it is likely that traders and investors will gain greater insight into whether or not there is enough buying pressure to sustain today’s upwards momentum.